The Master Wheels controller is an advanced professional wheel controller system that employs high-precision sensors, advanced control algorithms,and state-of-the-art product design to deliver precise and butter-smooth remote camera movement control. 1.How do I adjust damping on DJI Master Wheels? Each wheel control module has its own set of dials to control speed, smoothness, and damping. Turn the damping knob to increase or decrease damping for that particular wheel module. 2.What should I do if signal is not strong enough when using Master Wheels? If the signal is weak due to strong interference, a wired connection is recommended. If the signal is weak due to physical obstructions (e.g., wall, radio module, electrical cable), it is recommended to place the radio module on the opposite side of the obstacle. 3.How do I control gimbal direction on Master Wheels? 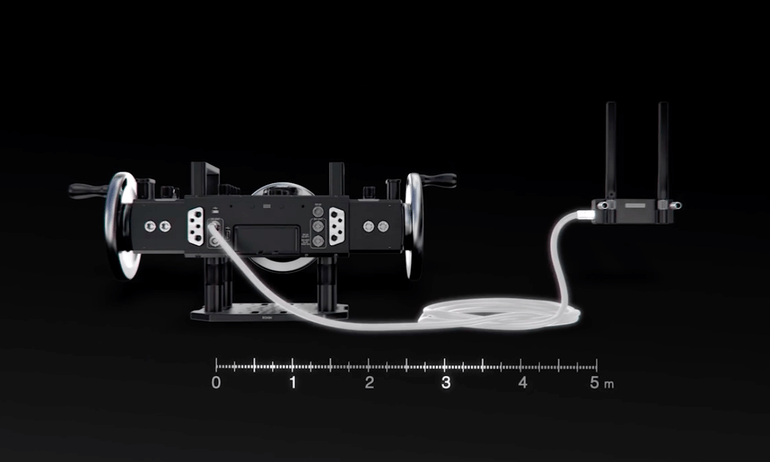 Each wheel control module has its own three-stop toggle switch to control gimbal direction. Flip the switch to either end to set forward and backward direction, and to the middle for no movement at all. 4.What is the maximum wired controllable range of Master Wheels? 5.What is the battery life of Master Wheels? 18 hours (when the battery is fully charged and supplies energy to Master Wheels only). 6.How do I switch between the three different axes of Master Wheels? Unfold the Wheels menu, tap Custom and enter the Channel interface to map CH1, CH2, and CH3. 7.How do I detach the three control modules from Master Wheels? After detaching the control wheel, use the Allen wrench to remove the four screws of the control module to detach it. 8.How do I view the current speed of each axis? 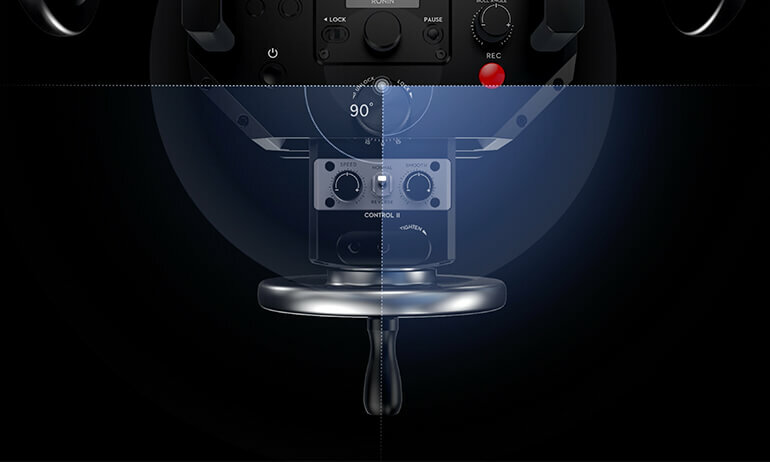 Master Wheels’ main interface displays the current speed and smoothness of each axis. 9.What should I do when a gimbal fails to respond to Master Wheels’ subtle movements? Decrease Dead Band and Smoothness. 10.What to do if Master Wheels is too big to be mounted inside of a vehicle? Users can detach the three Master Wheels control modules and mount them at different places to accommodate the space where it is used. Users just need cables to connect a removed module to the base. 11.Does the Master Wheels support third-party power supply? Yes. Master Wheels can be powered through the DC IN port.